Eileen Laird is a podcast host, writer and researcher at Phoenix Helix. 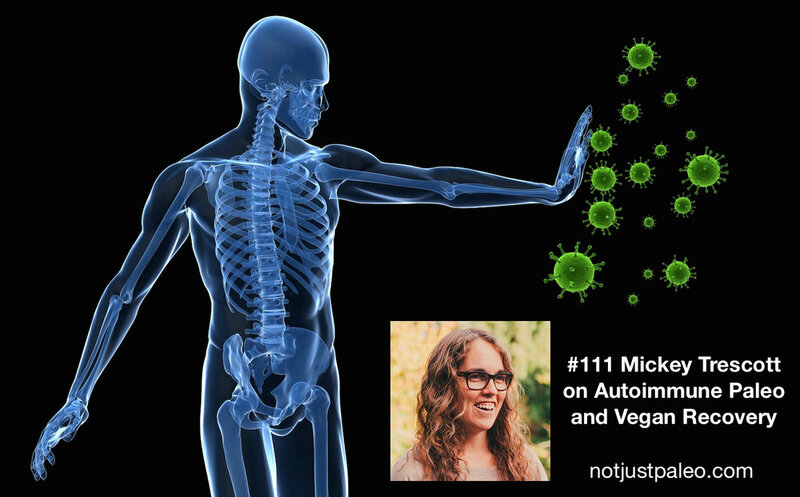 Today we discuss her rapid-onset autoimmune disease. She had the perfect lifestyle, still ate gluten and dairy at the time of the diagnosis. She hasn't been able to identify a root cause of her disease, but upon beginning the AIP diet protocol, she has had an incredible recovery. We discuss the autoimmune diet in general, as well as specifically following this diet for autoimmune conditions. Many of my patients have a diagnosis of autoimmunity, or they have concerns about the autoimmune component to disease. Researchers are beginning to come to the conclusion that I see each week which is that nearly every disease or symptom may have an autoimmune component to it. When we are at the end of our rope and are facing prescription medication that can be riddled with side effects and nutrient deficiencies that can be caused from these drugs, it gives you a breath of hope to learn that Eileen has had such a great response to the AIP protocol. Her story is among the thousands, if not hundreds of thousands of people across the world who have successfully reduced the severity and number of symptoms that they are plagued by. When you feel like you are losing hope, remember that the foundations of nutrition, lifestyle, attitude, fatty acid balance, hydration, hormone balance, methylation and detoxification and more, must all be in order to be 100% well. Giving up may feel easier, but if you want to thrive in the modern world, that adds new chemicals and variables to your situation each year, it's best to have someone take a deeper look into your lifestyle. I believe that everyone needs a practitioner or coach to look over labs, biomarkers and the other important information that helps to gauge your health. I offer 15 minute complimentary consultations to discuss your health symptoms, your journey, your successes and struggles. You can learn more and book that free consult right here. I look forward to helping you feel better soon.